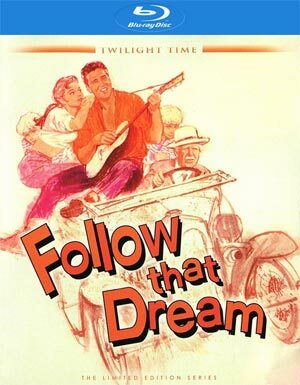 Follow That Dream is considered one of Elvis’ finest performances and he indeed is charismatic as ever and the lovely Anne Helm works well with him providing a nice spark. Yeah, the story itself feels out-of-date but still fun to watch. The Blu-ray released by Twilight Time includes excellent video and audio transfers while the bonus material is unfortunately limited. 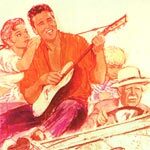 Follow That Dream is a light-hearted romantic comedy starring the one-and-only rocker, Elvis Presley, as a member of a vagabond family who become unlikely homesteaders in serene, idyllic 1950s Florida. 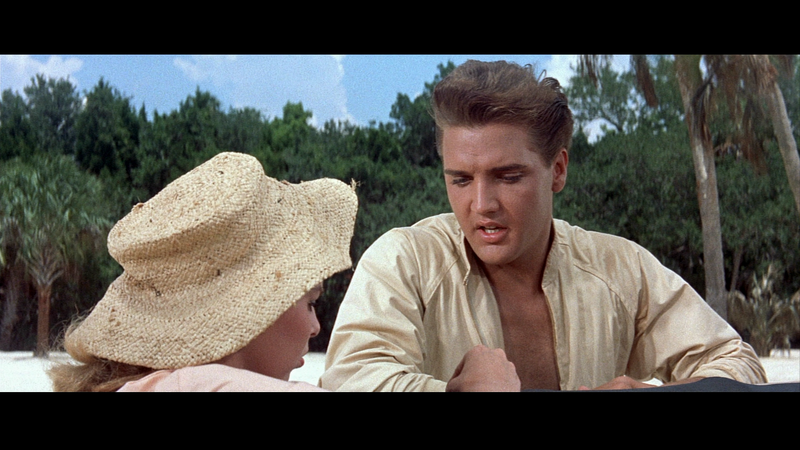 Pop Kwimper (ARTHUR O’CONNELL), his son Toby (PRESLEY), and a brood of more-or-less adopted children — including Holly (ANNE HELM), a fetching beauty on the cusp of womanhood — run out of gas on a perfect little beach that just happens to be unincorporated land. No sooner do the Kwimpers stake their claim than government officials, child welfare workers, and a pair of gangsters descend to make trouble — but Toby’s native wits and beguiling innocence may well be a match for them all. The features are sadly light with only the Original Theatrical Trailer (2:25). 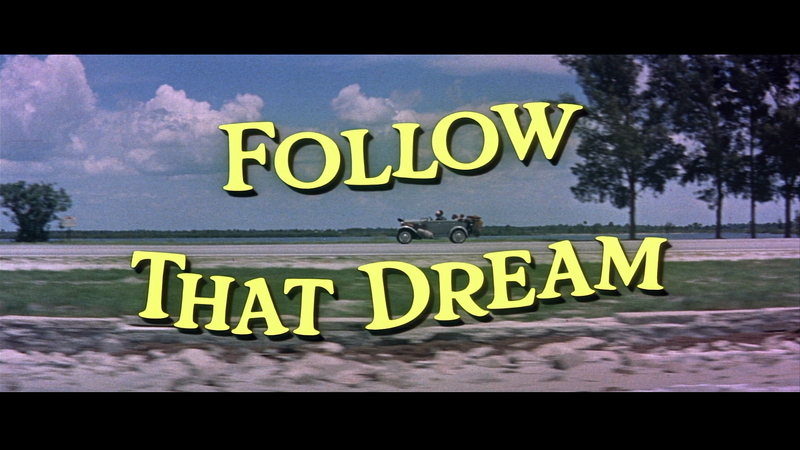 Twilight Time releases Follow That Dream onto Blu-ray with a mostly gorgeous looking 1080p high-definition transfer presented in the film’s original 2.35 widescreen aspect ratio. The picture itself looks pretty darn good with excellent detail level, luscious and vibrant colors and only some momentary (in a flash) specs. The only other drawback is some of the graininess is fairly heavy and other shots appear faded, but those are few and far between. The DTS-HD Master Audio 1.0 track is fairly impressive where dialogue throughout is clear and understandable while the music is nicely showcased even if only through the one channel. I didn’t notice any distortions, crackles or pops making for an even lossless track. Also included is an Isolated Score Track. 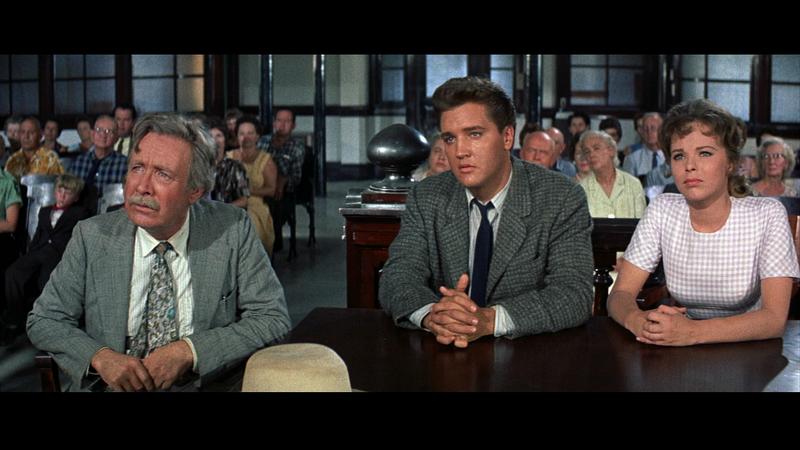 Overall, Follow That Dream is considered one of Elvis’ finest performances and he indeed is charismatic as ever and the lovely Anne Helm works well with him providing a nice spark. Yeah, the story itself feels out-of-date but still fun to watch. The Blu-ray released by Twilight Time includes excellent video and audio transfers while the bonus material is unfortunately limited.